Penelope was created as an epilogue to the Odysseus by the Royal Flemish Theatre: a 24-hour piece in which the integral Odyssey was told by 24 men. Once all the verbal commotion made by the 24 men telling the story of the Odyssey had stormed across the stage, Lisbeth Gruwez presented a wordless reply of the purest simplicity: for twenty minutes she conjured up in dance all the sidelined women of the Odyssey, and thereby offered all these men a response. Lisbeth Gruwez wanted to add an open end to Odysseus by reducing the verbal abundance to a non-verbal nil. No trickerio, no deceptio: in Penelope she uses only her own body to represent Penelope’s waiting and other elements. As Lisbeth remarks, ‘Penelope waits, struggling with time and longing. Her movement is that of standstill.’ This moulds this unique combination of movement and standstill into the form of a spiral: a figure that is simultaneously limited and unlimited. Her aim is to conceive of time not as linear, but as circular. After all, ‘has there actually ever been an end to the cycle of violence that the Odyssey depicts?’ According to Lisbeth, this is the main question in the poem. She interprets it in its entirety as an eternal recurrence of (male) violence: a cycle of trial and error, of attack and relapse. In this interpretation, Penelope – and by extension women in general – are the symbol of commitment and reconciliation, while the male idiom of glory and heroism leads only to division. 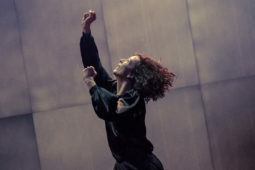 Gruwez dances Penelope under the guidance of Maarten Van Cauwenberghe, her established partner at Voetvolk, who developped music that both underpins and challenges the solo — like a sort of counterpoint. Together, they intend to (briefly) solidify time. A dance performance of infinite grace and power. Lisbeth Gruwez turns tirelessly, not as a whirling dervish, but as a woman who seems to have taken all heroines of the Odyssey in her elegant, fine arms. 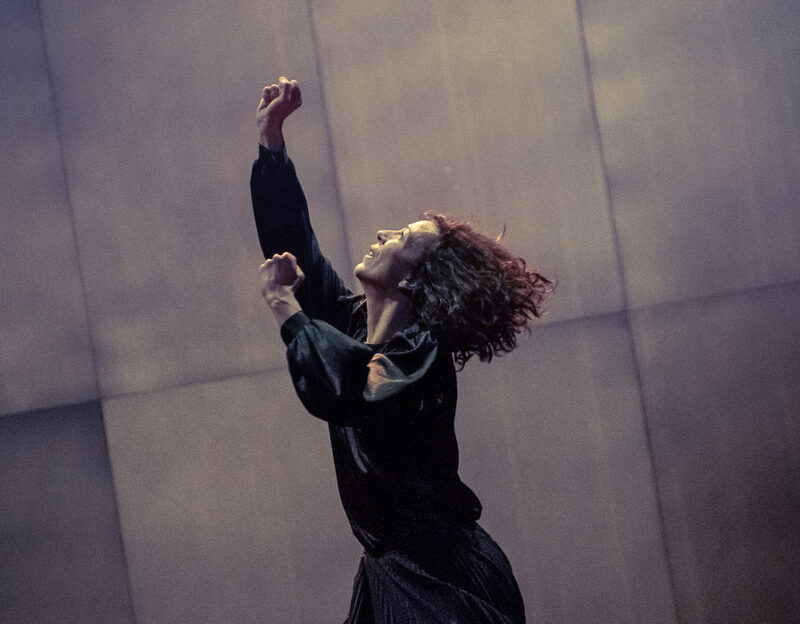 The impressive Lisbeth Gruwez unites ancient with modern times in a refined and magnetizing dance performance that grabs hold of your senses.